One hundred years ago thousands of people in Canada were dying because of the Spanish Influenza pandemic that ravaged the country from coast to coast to coast. Most of those who died were between 18 years and 40 years of age. Families were devastated. Communities mourned. How did our ancestors cope? What did they use to treat the flu? How was your family affected? 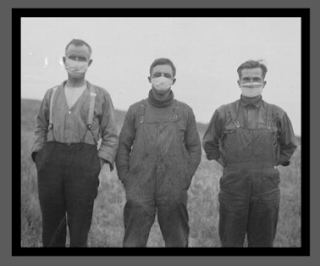 This week's Genealogy with a Canadian Twist webinar is "How the 1918 Spanish Flu Pandemic Affected Canada." It's free to register and attend the Live webinar presentation. There are limited spots available.